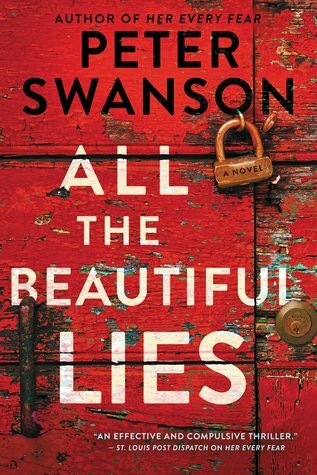 Martin Reese is harboring a secret that threatens to completely alter his life as he knows it. He knows that his unique hobby is unconventional. That's putting it mildly. Others might see it as downright obscene, but Martin sees it as a kind of public service, an act of vigilantism that only he can perform. He keeps it secret from his wife and daughter. It's easier to keep this part of his life hidden. He's developed a pretty solid routine that helps him separate this piece of himself from the rest of his life. Retirement and a mass fortune from the tech company that he founded certainly help. Now, his years of caution seem to be for naught. Someone has discovered his secret. Martin's obsession started innocently enough. He carefully took notice of his future wife Erin when he realized they attended the same university. How could he not notice the woman whose sister disappeared and was purported to be the victim of the brutal serial killer Jason Shurn? When Erin realized she was being watched, she approached Martin. Strangely, the two began a romantic relationship and the rest is history. Years later, the couple is married, have a daughter, and seem to be living a picture perfect life. If only Erin knew what Martin did during his periodic "camping trips". Detective Sandra Whittal has seen a quick rise in her professional life due to a quick instinct and superior record of closing cases. She's been haunted by the work of the Finder, a mysterious person who has taken it upon themselves to dig up the long-lost bodies of murder victims. Some of her colleagues see this Finder as nothing more than a lone crazy person who is not harming anyone by his intermittent antics. If anything, at least some families are finally getting closure. Sandra is not so optimistic. There is something about the Finder's digitally altered voice that sends a chill down her spine. No sane person would investigate decades-old murder cases and dig up the victims' remains. When the freshly murdered body of a girl is discovered at the site of the Finder's latest dig, Sandra is convinced. She must find and stop this Finder. 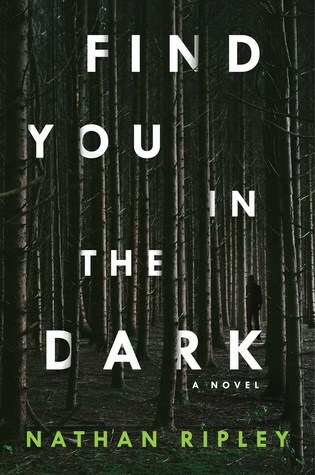 Find You in the Dark sees author Naben Ruthnum (writing here as Nathan Ripley) present an intricately plotted and darkly thought-provoking thriller that will have you questioning where the line between good and evil truly lies. Both Martin Reese and Sandra Whittal are flawed characters who face grim realities that only add to the intrigue and believability of this novel. At first, I wasn't sure what to make of the novel. Ripley purposefully omits the darker details of the Reese family during the opening portions of the book. This allows for an adequate development of the family dynamic that created even higher stakes when the more traditional thriller elements kicked in later in the story. Beyond being the kind of slow-burning, read into all hours of the night novel I've come to expect of a summer release, Find You in the Dark breaks the mold by providing an intelligent commentary on justice, grief, and good vs. evil. All in all, you really can't ask for more from a serial killer thriller. There's no denying the mixed quality of James Patterson's massive output. I've always maintained that his best books continue to be those that he authors on his own. The Alex Cross series, in particular, has been his most consistent in terms of both quality and originality. But now Patterson has found a way to get even more work published in the novellas that he calls BookShots. I'm of the opinion that this constant flow of content, often created with a co-author, only dilutes Patterson's brand. When I learned that he had a BookShot featuring Alex Cross, I almost lost my cool. How could he mess with the only thing that has continued to be quality?! Because the novella Cross Kill has a plot that rolls into the next Cross novel, I begrudgingly picked up a copy to read for myself. Cross Kill reads like the opening portion of a fully formed novel. The opening starts with a bang as Alex and his partner are ambushed by a shooter while serving meals at a local shelter. In the chaos, his partner takes a bullet and is left fighting for his life. Alex thinks he knows the identity of the shooter, but can't see how the identity could be correct. How could a man who Alex watched die come back to shoot at him? 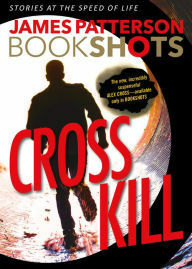 Like most Patterson novels, Cross Kill burns through plot at a rapid pace that makes for an extremely quick read. I'd be lying if I said I didn't enjoy reading one of my favorite characters again. My only complaint is that the novella feels like a first go at the opening of a fully formed novel. It would almost work as the first act of a story but fails when presented as a complete novella. Luckily, the short work took little time to read, so I don't feel like I wasted my time. I probably won't be reading another one of these BookShots any time soon, but you can bet I'll be reading the next Alex Cross novel when I get a chance. We are at a point in pop culture where nostalgia seems to be the hot topic. Star Wars and Jurassic Park rule the box office while revived shows like Hawaii Five-0, Roseanne, and the upcoming reboot of Murphy Brown play on our televisions. I mean, even American Idol, which saw its historic run end only two years ago, has been brought back for another go. Not everyone is on board with the constant reboots and revivals that we seem to be obsessed with, but you can't deny that they are selling. In his blockbuster novel Ready Player One, Ernest Cline presents a highly original adventure set in a future that is steeped in the nostalgia and throwbacks that we can't get enough of. The year is 2045 and all of Earth has been explored. The ever-expanding human population has stripped the planet of most resources. Teenage Wade Watt lives in the stacks, a large collection of stacked trailer homes that tower throughout what used to be bustling major cities. To escape the stress and downright bleakness of their lives, people spend the majority of their time in the digital playground known as The Oasis. The Oasis was the brainchild of the late genius James Halliday. It serves as a center for education, entertainment, and commerce. Essentially, anything that can be dreamt can be programmed into The Oasis. Upon his death, Halliday announced that he programmed an easter egg into the world. Whoever finds the egg will gain complete control of The Oasis. Naturally, large corporations are stopping at nothing to retrieve the egg and control. If the unlikely hero Wade Watts has anything to do with it, he'll find the egg first! After waiting for years to read this novel, I was finally inspired to pick it up before seeing the movie adaptation. Both book and movie differ in huge ways, so I'm definitely happy I read the book. I'm a huge nerd, so I especially enjoyed the references to video games, movies, and Dungeons and Dragons. While many of the plot points hinge upon pop culture references, I don't think you have to know about the references to enjoy the book. The plot works completely on its own as a fast-paced race to discover the easter egg. This is the perfect summer read that seems to have hit at the perfect time in our culture. 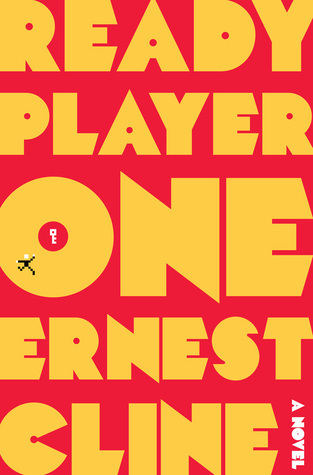 Ready Player One is pure escapist fun that will have you reading late into the night.